Are Symptoms of Aging Actually Nutritional Complications? Paleo prioritizes anti-inflammatory foods: vegetables, traditional fats and animal products (especially from animals raised on a pasture the way nature intended) while simultaneously removing the most inflammatory foods in modern cultures: grains, sugar, dairy, additives, legumes and alcohol. This combination naturally reduces symptoms of system-wide inflammation that are often accepted as normal aging. Paleo stimulates fat-burning metabolism by increasing healthy fat intake while eliminating foods that stimulate fat storage (particularly sugar and grains). This not only mobilizes body fat for energy, it improves digestion, reduces inflammation, restores hormonal balance and helps manage carb cravings, all of which contribute to healthy weight management. Stressors of all sorts are abundant within the modern lifestyle, including difficult-to-digest foods. Unmanaged stress triggers the hormone, cortisol, which overrides many normal hormonal functions including proper hunger cues, blood sugar regulation, sleep cycle, thyroid hormone (controls metabolism), bone building, etc. Paleo drastically reduces stress to the body’s digestive system and subdues cortisol to allow restoration of other hormonal functions. Two factors that contribute to wrinkles and sagging skin are oxidative damage from free-radicals and lack of appropriate building blocks for healthy cells (everywhere in the body, not just the skin). Paleo staple foods include anti-oxidant rich vegetables to combat and minimize damage from oxidation, hard-to-find proteins such as collagen (abundant in skin, connective tissue and bone…a main component of homemade bone broth) and healthy fats to build stable cell membranes. Bone integrity is not simply about taking more calcium. There are many other minerals, vitamins, proteins and fats involved in the bone-building process. Paleo focuses on abundant vegetables which not only supply ample calcium but also magnesium, phosphorus, boron and other bone minerals. Plus, Paleo also removes foods that interfere with mineral absorption. Using bone broth as a staple food provides hard-to-attain collagen and glucosamine proteins, both of which are crucial to building bone matrix. And finally, an emphasis on naturally fatty foods provide EPA and DHA (omega-3 fats) necessary for bone marrow integrity as well as fat-soluble vitamins K2 and D3 for proper calcium metabolism. 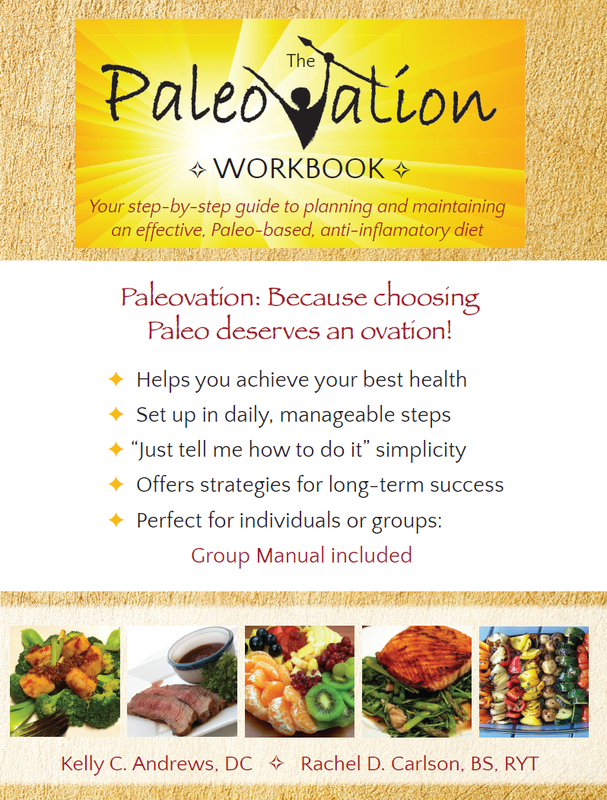 The Paleovation Workbook provides the framework to stay informed, motivated and accountable during the Paleo transition and beyond.